Instagram Web Profiles: What does it mean for the future? The relationship between Instagram and Facebook has been one that has been the topic of many blog posts in the industry. Will Instagram be given preferential treatment among all of the picture apps? Will Instagram’s love be exclusive to Facebook? Will Facebook simply steal some of the usability functions that Instagram has that Facebook’s photo applications have always failed to duplicate? While many of these questions still can’t be fully answered, it is clear that Facebook is setting the stage for a more integrated relationship with Instagram. Does anyone else find it curious that the new Instagram profile lays out in the same dimensions as the Facebook profile? Personally, I wouldn’t be surprised if Facebook eventually gives you the option to have your Instagram header take the place of your cover photo in the near future. Other functions that I could see coming include the quick, “Set this Instagram picture as your Facebook profile picture” button and the beginnings of a Facebook-based gravatar. There is always one truth when it comes to the digital space. A new player will emerge. The most obvious choice for the next BIG thing is Path, a service that many have been jumping on with in the industry. Perhaps though, people will start to love the new filters that Twitter is putting out, although I find that scenario far less likely. January 29, 2013 | Categories: Mobile, Social Media | Tags: Facebook, Ink361, Instagram, Path, Photos, Social Media | Comments Off on Instagram Web Profiles: What does it mean for the future? Mark “Zuck-Dawg” Zuckerberg preached about the proliferation of sharing on the internet in his F8 address in 2011. According to Zuckerberg’s Law, the amount of stuff that people share doubles every year. That seems pretty crazy and it has led to more and more companies flocking to Facebook, Twitter and YouTube. What if there was a site though that existed totally on sharing. If you’re thinking that Reddit and StumbleUpon have been around forever, you’re right. But, what if there was a site that existed strictly in the sharing realm that had a continuous stream of new and popular multimedia shares? 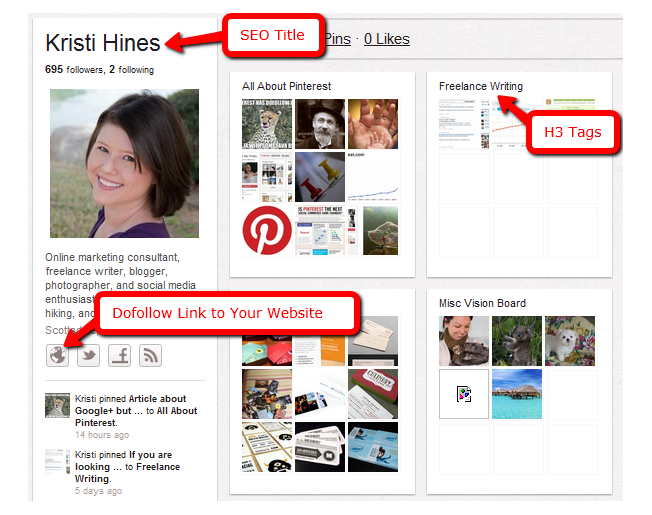 Well, as I mentioned months ago in my Sites to Watch: Pinterest article, there is such a site. The new rush for companies and advertisers has been to find a way to use Pinterest. It provides a unique opportunity for marketers and companies to connect with women in order to drive traffic and purchases. Here is everything that you need to know about Pinterest. No matter what opportunities exist for expansion, the fact is that Pinterest is STILL site that is dominated by women. According to statistics, Pinterest’s user base is 80% women. That could be because the most prevalent areas to share are weddings, interior decorating, fashion and fitness; areas that women tend to be very interested in. Another interesting note is that boring states seem to be more involved in Pinterest. (It’s about time the Midwest led the charge for something.) States like Oklahoma and Utah have the most Pinners. If you want the full demographic breakdown for Pinterest, check out the article from Ignite Social Media. There is opportunity for men to join and Pinterest seems to be working on cultivating a men’s area of the site. However, the numbers are not there yet to justify a company with a male-dominated customer base to make a heavy spend. Still, keeping this format in mind will be greatly beneficial when designing plans going forward. Despite being a straight picture feed on the boards, Pinterest drives traffic to the source site. According to our friends at Mashable and a Shareaholic study, Pinterest drives more traffic than Google+, LinkedIn and YouTube combined. That’s right. Furthermore, the study showed that Twitter barely edged out Pinterest; by 0.01% of referral traffic to be exact. This can most likely be attributed to a few things. Firstly, Pinterest was designed specifically to drive traffic. People share a link that is meant to be followed. When some people look at the Pinterest wall, they see pictures. As an SEOcial Specialist, I see a page full of links. Think of Pinterest as a fun, ever-updating directory that users flock to. On Twitter and LinkedIn, there is either a constant stream that lives strictly chronologically or not enough time on site to drive any marketable traffic. 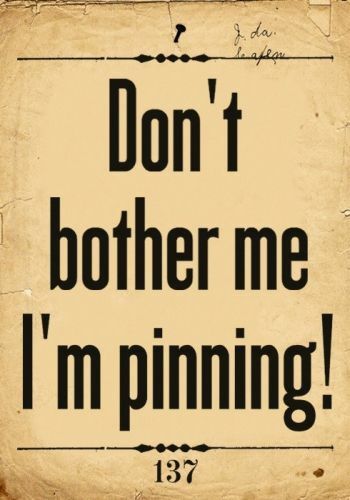 Pinterest users aka ‘Pinners’ spend hours on the site both dedicated and passively surfing. What can you take from this stat? Format links so that they are interesting in a single picture. If you run a fashion or crafts website, that is simple. If you run a service website, you may have to get a little creative. Try meme-style photos that can engage interest and evoke an emotional response. Not many API’s have been more highly anticipated than the Pinterest API. While there is obviously areas of opportunity, the lack of a public API has made Pinterest hard to integrate into various other mediums. Still, if you have the infrastructure and product, I would suggest adding Pinterest buttons to your social media arsenal. Get the Pin It and Follow Me on Pinterest buttons straight from the source today. If your site caters to women, fashionistas, the to-be-wed, teachers or parents; you’re already behind by not integrating these buttons. Google+ buttons help search engine rankings. Facebook buttons boost sharing. Pinterest buttons boost traffic! I have inserted the Pin It button to this post just to see how it works. I predict a high bounce rate but a traffic boost. I’ll let you know how it works. Much in the same way that people misuse Twitter as a soapbox to shout on, there is a bad way to engage Pinners. Like any other social media site, engagement is key. People need to know that there is a soul behind your pins. It will take a little time to set up a foundation for pinning. You need to build your boards, find similar pinners, follow their boards and tag when appropriate. Pinterest is not just a feed site. It is a social media site and should be treated as such. Stay tuned for more Pinterest updates and an extensive “How To Pin” from me. Ever since Klout decided that I was influential on Pinterest, I have taken up the mantle to help others better understand and use this innovative service. Facebook Places: Here to Stay. Upon doing some more research, it appears that Facebook Places may not actually be going anywhere. They are simply changing out some of the check-in features to make it even easier to share your location. This is an official recanting of my previous post that reported incorrect news. I thank Brian Carter by way of Casey Copeland for getting me the right news. I must confess, I was victim to trusting news sources that happened to be wrong. I should have trusted my gut and dug much deeper into the story before publishing my knee-jerk reaction to incorrect news. To all of my regular readers, I’m sorry and such a mistake will ne’er happen again. Come back soon. August 24, 2011 | Categories: Mobile, Social Media | Tags: Facebook, Foursquare, Recant | Comments Off on Facebook Places: Here to Stay. It appears that once again, people are overestimating Foursquare and underestimating Facebook. 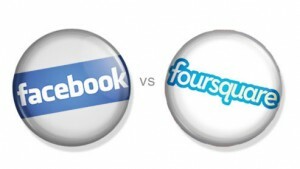 Immediately after Facebook declared that they were going to remove the Places option from their mobile platform, reputable people were eager to declare Foursquare the victor in the battle between Foursquare and Facebook. To declare such a victory is premature at best and ignorant at worst. Business Insider titled their article “Round 1 to Foursquare: Facebook is Scaling Back Their Places Check-ins.” This is much more accurate than the finality that others are suggesting. Have we not learned that Facebook will come out with something that will compete for the market that they want. 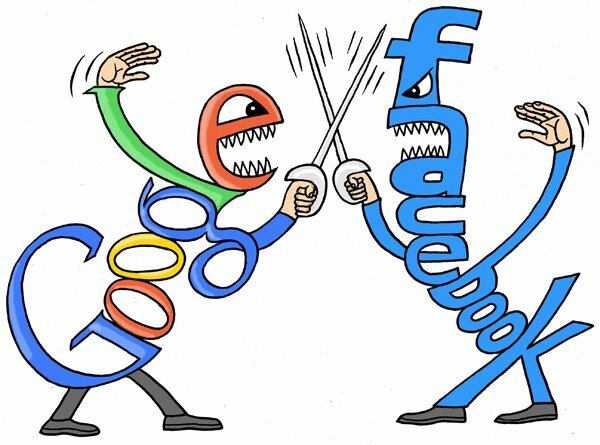 Rather than seeing this as a battle between Foursquare and Facebook, we need to take a holistic view and realize that Facebook is well aware that Google+ will be a competitive format in the business world. Google+ has Google Maps at its disposal, a mobile integration that Facebook and Bing could struggle to compete with if Google carefully crafts their next steps. Perhaps, Facebook would rather scale back Places in favor of a much more complete and advantageous feature. Long story short, to suggest that Facebook was beaten and is going back to lick their wounds is wishful Schadenfreude. Zuckerberg is not willing to give up a market that he has competed in. He wants to win that market and continue to work towards the goal of 1 billion users. In the short-term, perhaps it would be advantageous for social media experts to create and maintain a business Foursquare if you haven’t already done so. Mark my words though. This is just the beginning. It seems like every week you will see dozens of articles, this one included, about how social media pairs well with one other medium or another. People are quick to pair social media with mobile, email, tv, outdoor, event and atmospherics. Why does this work? Well, people are always on social media and the world is inherently a social place. It would be weird if it weren’t. For any given situation, there is almost guaranteed to be a social media outlet that works. Allow me to give you a small glimpse into what social media could work for you and why in various executions. Television and Twitter share one very special bond that makes them incredibly compatible. They both live in the moment. That’s why they’re going to be the next story on an e-Harmony commercial. Twitter hashtags and trending makes Twitter a perfect reference for anything that is on TV. Being able to instantly share your opinion with millions of other people who are talking about the same thing makes Twitter perfect for any show. On Facebook, your friends may see a status but, on Twitter, the world hears about how you think @DiaFramps rocked #Heartless just a few seconds ago on #TheVoice. Consumers see this as a way to speak up in a crowded room without getting interrupted. Brands see this as a way to boast popularity and begin the conversation that they hope will end up everywhere. Now, it’s hard to watch a live event without seeing #_______ in the bottom corner and that’s okay because TV and Twitter are soulmates, despite how much they cheat on each other with different mediums. If you’re hosting a live event, you’ll probably be using multiple channels such as Twitter, YouTube and maybe even Foursquare but your lady should and most likely will be Facebook. Facebook still encapsulates everything that an event could possibly hope for. It can host pictures, videos, comments, questions, information and other social media via apps. It is your one-stop-shop for an event. Add to it that Facebook has the built-in ability to schedule and host an event and you have a way to tie any event directly to all of the consumers who already like you. This is especially handy when it comes to touring events, ENTER WARRIOR DASH. 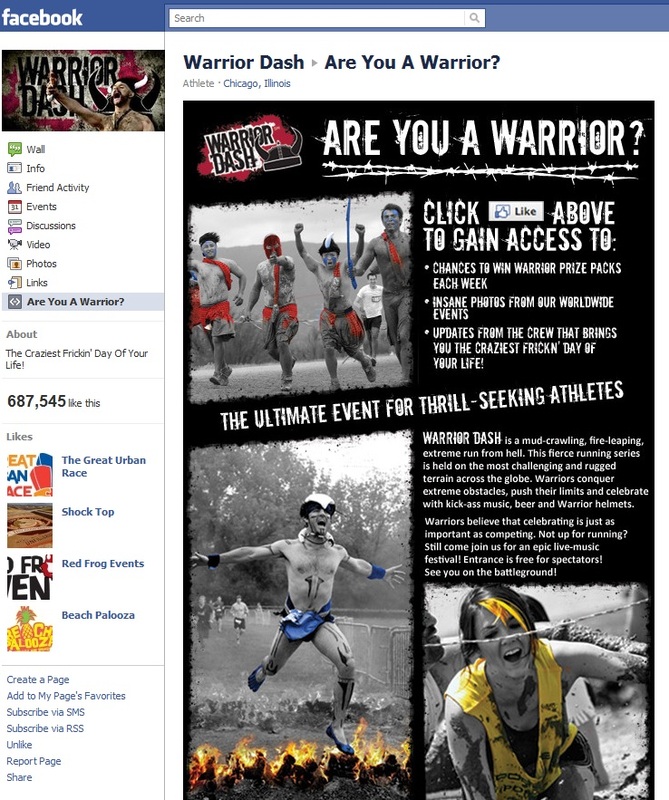 Warrior Dash is all over the place but it truly lives and thrives on Facebook. Facebook integrates everything in so nicely that events shouldn’t be shy about having a monogamous relationship with Facebook but since Facebook keeps all of it’s relationship statuses as “In an Open Relationship With”, events have no reason to stop messing around with Twitter, Flickr and Foursquare. While multiple mediums could and probably should dabble with multiple social media touchpoints, email has always NEEDED multiple media outlets. This is probably for multiple reasons. The most likely of these reasons is the fact that email subscribers vary so greatly in demographics and preferences. Besides, email lists are usually built from your dot com presence. People need to see all of your other places and, when possible, how you highlight your fans on each medium. Each email that you send should highlight your open conversation with your consumers on each medium, especially Facebook and Twitter. That’s right. I’m making a bold prediction in favor of Google+. A lot of my regular readers think that I am an anti-Google guy but I think that Google+ will slowly take a big chunk out of the mobile market. For all of the great work they do, Facebook and Twitter don’t own an operating system and Foursquare gets shelved or deleted as often as it gets used. 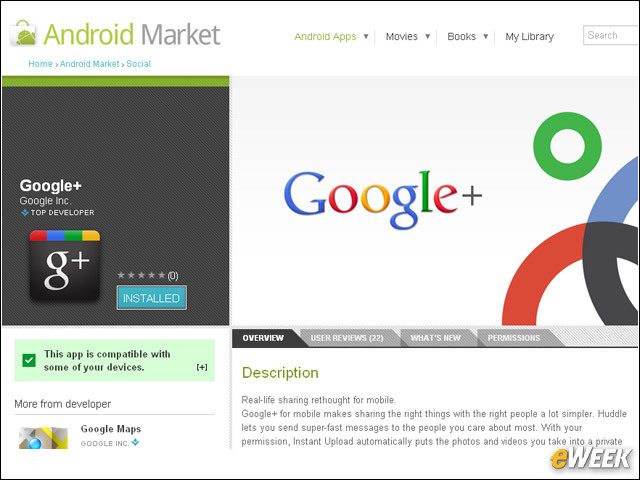 Google has Android and Google+ will find new and awesome ways to integrate with mobile phones…and tablets. This could be Google+’s doorway into mainstream social media. I am already a fan of the share tool. The network just isn’t enough for me to share on it as opposed to Facebook for my personal crowd or Twitter for my more professional crowd. Google+ already allows me to segment between the two. Perhaps, the ability to share within specific groups could make Google+ the Go-To service for mobile marketing. People don’t sit down and watch media or interact with it for more than a few seconds. Even a funny outdoor ad is quickly taken a picture of and shared before people keep going on their busy schedule. Interactive outdoor is your only chance to get some pauses for interaction. People will pause if they can see what they’ve texted/tweeted on a billboard for everyone to see. The best example of this actually came from LG and they used SMS messages but the same could be done with a Twitter feed board on any internet-connected device. People will stop outdoors if they can see instant or nearly instant feedback from their actions. While I have paired up some marketing but what I have seen through casual observation and research, it is important to remember that there is no such thing as law in social media. With the next big idea, you could completely throw my thoughts upside down. However, I did write this article after doing extensive research on customer interaction and engagement. Now, it’s time to ask what your thoughts are. What do you think about what I’ve said here and do you have any points of contention?